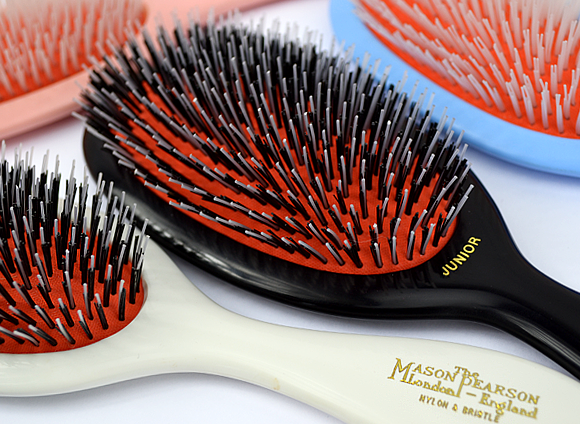 Mason Pearson hairbrushes have a long and illustrious history. Created in 1885 by Mason Pearson, an engineer from Yorkshire with a talent for invention, they were the first brushes to be made with a pneumatic rubber cushion for more comfortable brushing. Amazingly, that design has remained largely unchanged since their creation (apart from some tweaks made in the 1920s). Today, the Mason Pearson hairbrush represents the same level of quality, tradition and luxury as it did over 130 years ago. 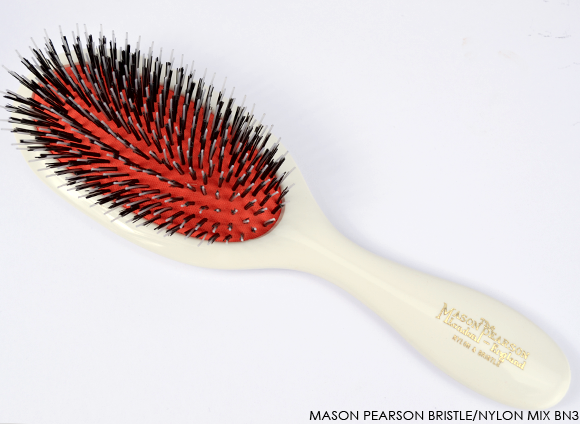 From stylists to celebrities, and even your grandmother – the Mason Pearson hairbrush has a staunch fan base that spans decades. 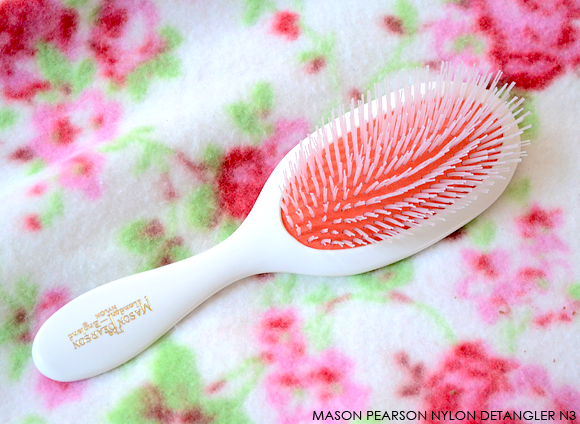 If there ever was a classic hair brush, it’s this one! Although it’s a well-known cult hit, the number of brushes and their different styles and sizes can be a little confusing. As a general rule of thumb: the longer your hair, the bigger brush you’ll need (unless you want a travel brush). As for whether to go for nylon, nylon/bristle mix or pure bristle, that needs a little more thought. 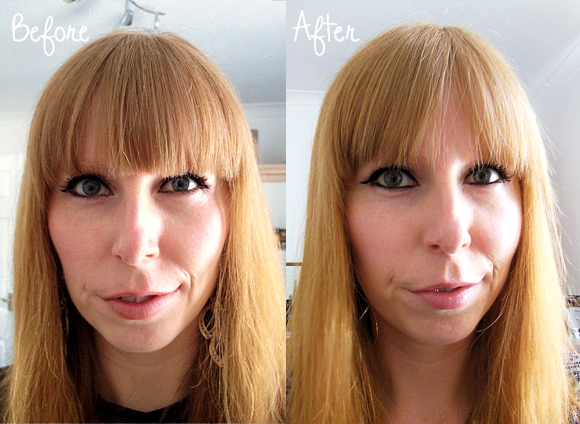 So, to help you out, we’ve reviewed the three different styles in this post with a little help from our friends, beauty bloggers Corrie (Dizzybrunette3) and Kat (Tales Of A Pale Face). I have a confession to make. I hate brushing my hair. Ever since I was a little girl, I have always hated the thought of sitting detangling my hair. I’ve always had long thick hair, so brushing has never been a doddle instead it’s usually eye watering. Naturally my hair is quite wavy so brushing usually leaves my hair looking like Monica’s from Friends in that Barbados episode. That being said, I have to brush my hair. If didn’t I literally would have a birds nest on my head. However I haven’t found that perfect hair brush. One that makes brushing easy and well pain free. When I was offered to try a Mason Pearson brush to try, I jumped at the chance. Three words that are associated with Mason Pearson brushes are luxury, excellence and artisanship. They scream quality, and are kind yet effective for your hair. The bristles not only detangle knots, but they also massage your scalp which is great for blood circulation. The bristles come in different types for different hair types. The bristle and nylon mixture brushes are for normal to thick hair and the nylon brushes are for very thick and coarse hair. I’ve been trying the nylon bristle brush. I’ve been using it about three times a day and let me just tell you one word that I think of this brush… Wow. The density of the bristles allow for conditioning sebum to be spread through the hair. It helps to improve condition and adds shine. It can also help the strength of your hair too. One thing I have noticed from using this brush is so much softer my hair has become. Usually brushing can leave it feeling a little dry, but the Mason Pearson brush makes me feel I’ve just stepped out of the salon. Even when my hair has been shoved up in a top knot whilst I’ve been moving house, a few strokes of this brush means my hair feels soft, shiny and manageable again. I’ve noticed huge difference in my hair, its condition has improved and it honestly feels healthier. I mean gosh I’ve not my hair cut properly in almost a year and yet it feels healthy? That my friends is a magic brush. Yes the Mason Pearson brushes may be a bit pricey, but I honestly think they’re worth the money. If having sleek, soft and shiny hair is your thing? You need one in your life. Warning though, you may think you’re Cheryl Cole with your new shiny hair and will have to refrain from going round swishing your locks. I, like many, am guilty of not going to the hairdresser as often as I should. I’ve been growing my hair out for years now (following an ill-fated moment when I decided that a chin length bob would really suit me – oh, and that I should cut it myself), and since then I’ve been reluctant at best to take anything off the length. So, I’m on the constant look-out for products that will help me to maintain the daily health of my hair, from haircare products to styling tools. I could tell you all about my favourite de-frizzers and weekly deep treatments, but absolutely nothing about brushes. I’m a complete novice! In fact, it wasn’t until I started to use the Mason Pearson Nylon/Bristle that I realised how much I didn’t know about the attributes of a good quality brush. The nylon and bristle mix style is best suited to ‘normal’ hair. That is, hair that isn’t thin and fragile, but also isn’t thick enough that it’s primary concern is tangling. It boasts 6 rings of pure boar bristle, which is exceptionally good at distributing healthy oils from the scalp through to the ends of the hair, plus nylon bristles which stimulate and massage the scalp. The overall effect is heavenly as you’re pulling the brush through your hair. There’s a reassuring ‘swoosh’ as your hair travels safely through the bristles without snagging and tearing. I have a bit of a problem with dry ends (that aforementioned hairdresser avoidance habit), and this brush does a lovely job of tidying them up. The best thing about this tool is the polished look it gives my hair. As well as doing everything I want from a hairbrush – detangling, smoothing, and softening – it also seems to tame my hair in a way that I’ve not experienced simply from using a brush. Instead of each strand taking off in its own static-induced direction, a few ‘swooshes’ of the hairbrush and my hair becomes more unified. The combination of boar and nylon is ideal for this – the nylon separates and straightens the strand out, while the boar conditions and adds shine. My hair is left looking and feeling much better than before, with the added bonus of gentle volume. Click above to see the brush in action! We’ve read so many customer reviews at Escentual stating that their Mason Pearson brush has served them well for years, and that their elder female relatives had used and loved theirs for many years, too – what better endorsement can you get than that? 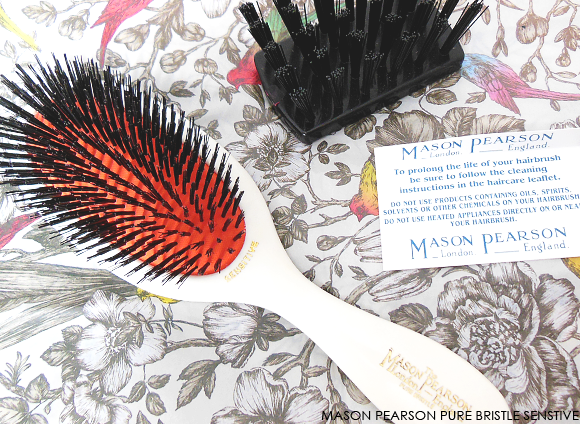 Mason Pearson are an English hairbrush manufacturer, who have been around since the late 1880s. They are the company behind the original rubber cushion hair brush, and the brushes they make today are virtually identical to the original ones from over 100 years ago! Each brush comes boxed with care instructions, and its own little brush for cleaning. There’s no messing around here – you get the impression that if you look after this brush, it will look after your hair. The brushes are all handmade in England, and are designed to be long-lasting, hard-wearing and kind to hair. The sensitive brush is designed for people with fine and/or thinning hair. Made with 100% natural boar fibres, it helps to stimulate the scalp, whilst also being gentle on fragile hair. I have naturally fine hair, so this brush sounded perfect for me. My initial impression was that the boar bristles felt a little scratchy to the touch, but when I started brushing, I got a really good scalp massage, and it didn’t feel coarse at all. The sensitive brush handled day to day tangles well and removes knots easily, without feeling as though my hair was being damaged. The brush did struggle a little after a run in with what felt like a gale force wind, but I took my time and persistence paid off, leaving me tangle free yet again. Mason Pearson believe that regular brushing can improve the condition of all types of hair, by helping to stimulate blood flow to the scalp and regulate your hairs natural oils. Over the few weeks that I’ve been using this brush, I’ve noticed less irritation with my scalp, and a much glossier look to my hair. 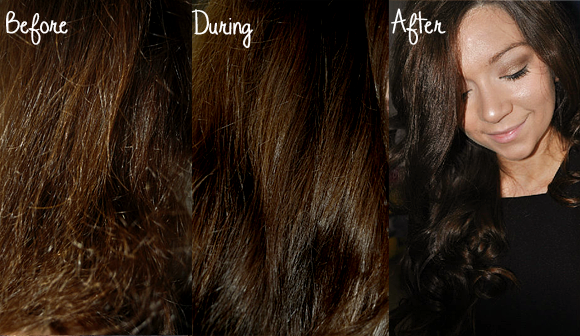 Most important of all, there seems to be less breakage with my hair when I brush. I’m planning to grow my hair, and I really think that using the sensitive brush is going to make a massive difference to its condition. Ok, £68.75 for a brush may seem a little on the pricey side, but given the fact that it will probably outlast me, I’m seeing it as an investment piece. Who here would happily spend that sort of money on a pair of shoes you’re going to wear twice (*puts hand up*)? So why not treat the hair you wear every day, and give it a brush with one of these (they come in 4 colours you know!). This entry was posted on Saturday, September 28th, 2013 at 12:03 pm and is filed under Guest bloggers, Haircare, Hints & Tips, Special Post, Tried & Tested. You can follow any responses to this entry through the RSS 2.0 feed. You can skip to the end and leave a response. Pinging is currently not allowed. Was really hoping I’d love this brush but when they say “suitable for thick hair” they must mean that in British hair terms because I’ve got thick, curly long hair and it just doesn’t brush the knots out! Mind – I’m not English. Handle hurts hand because bad grip and brush is a bit heavy. The only good thing I can say about this brush is that it doesn’t pull or split hair. Had to pull out my $4 brush to finish the job.